F.U.N. 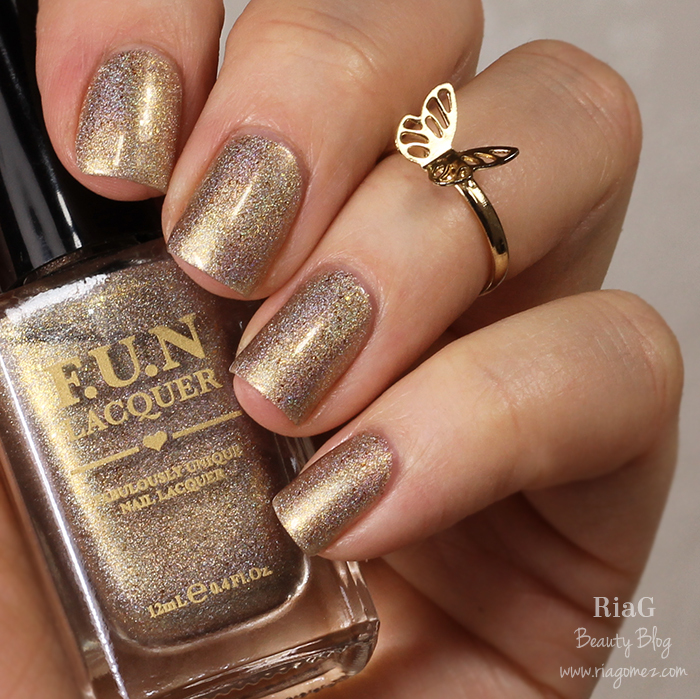 Lacquer TGIF is a gold holo shimmer polish with hints of copper in it. This was opaque enough for short nails with two coats but looked better with three. Application was smooth and no balding or streaking at all. Dry time was quick and during the two days I wore this I didn’t experience any chipping or tip wear. This was easy to remove and the shimmer left over on my fingers washed off well. 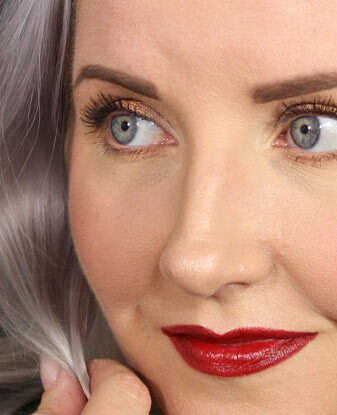 This has a linear holo effect but it was barely visible inside the house and sun didn’t come out once while I wore this. I definitely need to wear this again on a sunny day. 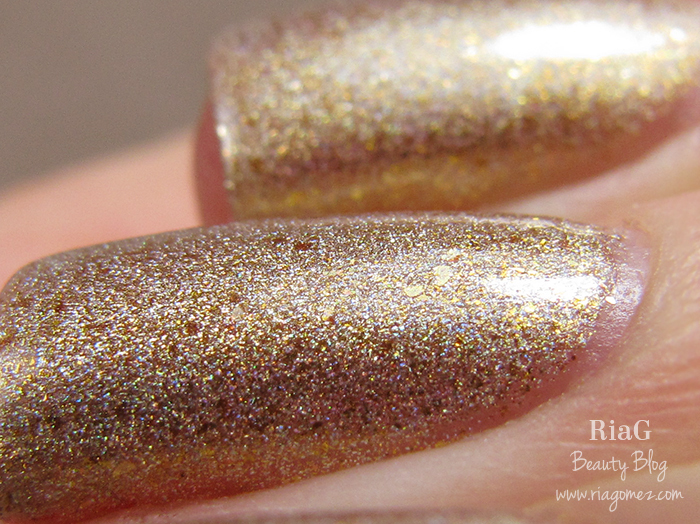 Even without the linear holo really showing this is still sparkling and not dull at all like some holo polishes can be. Gorgeous polish! On this manicure I used: 1 coat of Essie First Base, 3 coats of TGIF and HK Girl top coat. After I removed this I just wanted to paint my nails with it again right away, I didn’t, but that’s how much I loved it! GAH! This is on my wish list. I think you just made me have to bump it up to the top of the list. This is just gorgeous! And what makes it even better is that it’s not horrible to remove. I just love it! I love the copper accents in it. So perfect for Friday!